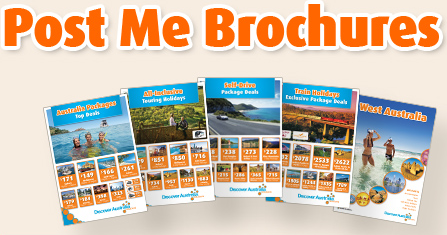 Fly to Broome and get transferred to your overnight Broome hotel. Broome is a bustling, cosmopolitan town located in the beautiful Kimberley region of Western Australia, the town is nestled amongst simply sensational natural surrounds including white sand beaches, turquoise waters and ochre rock formations. The Gibb River Road is one of Australia's greatest and most exhilarating 4WD adventures, this 660 km journey takes you through the heart of the beautiful and vast Kimberley region of Western Australia, spot for freshwater crocs and wild donkeys, canoe down pandanus lined waterways, swim under cascading waterfalls and camp out under star spangled skies. Depart Broome and visit the famous Boab Prison Tree, used to house Aboriginal prisoners overnight on their way to court in Derby before starting your journey on the famous Gibb River Road. Wade through the cool waters of Tunnel Creek and visit Windjana Gorge before arriving at your accommodation for the next two nights in Bell Gorge. 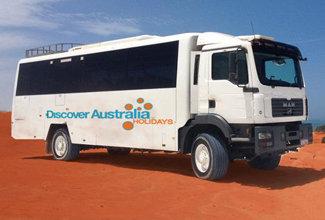 Luxury 4WD Tour, Lunch, Dinner, Overnight Bell Gorge Accommodation. Bell Gorge lies in the King Leopold Range Conservation Park in Western Australia's rugged Kimberley region, the gorge is one of the most famous and beautiful along the Gibb River Road comprising of a tiered waterfall that cascades down into a deep pool that's bordered by large flat rocks and makes an ideal place to relax, sunbathe and picnic. Home Valley Station is a working cattle station that lies in the ochre earth landscapes of Western Australia's vast, beautiful and remote Kimberley region, the station is owned by the Indigenous Land Corporation and exciting activities include bushtucker treks, fishing expeditions, guided bushwalks and horseback cattle mustering. This morning, depart Bell Gorge and travel through cattle country to Galvans Gorge. Go for a swim in the gorge or view the rock art before continuing to Barnett River Gorge, then crossing the Durack River to reach Home Valley Station, your accommodation for the night. El Questro Wilderness Park is located in Western Australia's beautiful Kimberley region, this sensational park is over one million acres in size and encompasses diverse and stunning landscapes including verdant rainforest, dramatic gorges, cascading waterfalls and broad tidal flats as well as four major river systems, spot for diverse wildlife, fish for barramundi and explore remote areas by helicopter. Enjoy a tour of Home Valley Station before crossing the Pentecost River to El Questro Wilderness Park. Take a hike to Emma Gorge or spend time at your own leisure before enjoying a delicious dinner. The Ord River is a 320 km long river in the vast and beautiful Kimberley region of Western Australia, the lower reaches of the river are a protected area known as the Ord River Floodplain and is home to spectacular scenery including lush mangrove forests, lagoons, creeks, flats and extensive floodplains that are home to extensive animal and bird life. Leave El Questro and enjoy a cruise to Lake Kununurra. View the rugged landscape of the Ord River with its breathtaking scenery, vast species of birdlife and many crocodiles lurking on the banks of this mighty river. Breakfast, Ord River Cruise, Lunch, Dinner, Overnight Kununurra Accommodation. The beehive striped Bungle Bungles are one of Australia's most iconic natural attractions, situated in World Heritage listed Purnululu National Park these incredible dome shaped rock formations are simply breathtaking in appearance, they rise up hundreds of metres sheltering cavernous gorges and inviting rock pools, the park is home to ancient Aboriginal rock art and burial sites. Journey from Kununurra to the famous Purnululu National Park, home of the iconic Bungle Bungles; one of the most stunning landmarks of Western Australia. Hike into Echidna Chasm and experience varying hues of the Chasm based on the angle of the sunlight hitting it. Later, return to your overnight Bungle Bungles Accommodation. Breakfast, Lunch, Hike to Echidna Chasm, Dinner, Overnight Bungle Bungles Accommodation. The Bungle Bungles are located in the World Heritage listed Purnululu National Park in northeastern Western Australia, these giant domed rock formations with their distinctive beehive stripes are one of Australia's most iconic and magnificent natural attractions, standing hundreds of metres tall they enclose cavernous gorges and tree lined rock pools. Explore Purnululu National Park and visit other points of interest in the Park such as Piccaninny Creek, a winding gorge within the Bungle Bungles, and Cathedral Gorge, a spectacular natural amphitheatre. You may want to enjoy a spectacular scenic helicopter flight (own expense) before returning to your accommodation to watch a magnificent sunset highlight the Bungle Bungle Ranges. Breakfast, Picaninny Creek Walk, Lunch, Optional Helicopter Flight (Own Expense), Dinner, Overnight Bungle Bungles Accommodation. Fitzroy Crossing is located in the vast Kimberley region of Western Australia, this small, welcoming town lies in the heart of some sensational pastoral country, the town retains some of its original buildings such as the police station and former post office and has a mostly Aboriginal population, nearby attractions include Geikie Gorge National Park and Tunnel Creek. Easily accessible Geikie Gorge in the remote Kimberley region of Western Australia offers spectacular views of the multi-hued 30 metre deep cliffs that were carved through the Devonian fossil reef by the mighty Fitzroy River, cruise or kayak the waters spotting for amazing wildlife such as fruit bats, bird-life and freshwater crocs. Tour from Fitzroy Crossing back to Broome today. Stop at Geikie Gorge National Park and enjoy a cruise along the Fitzroy River. Marvel at the flora, fauna and stunning landscapes of the region before enjoying a final lunch and then returning to Broome. Get picked up from your hotel and transferred to Broome Airport for your flight home. The Bungles, Kimberley Gorges, Gibb River Road & El Questro Luxury 4WD Touring is very popular. Many dates book out well in advance, please book soon.